Offers using the codes 3DGB1 and 5DGB1 are valid for bookings made by 31-Mar-18, for travel until 30-Apr-18. Exclusions: 25-Mar-18 - 16-Apr-18 (all sailings). Offers using codes 3DGBQ2 and 5DGBQ2 are valid for bookings made by 29-Jun-18, for travel from 01-Apr-18 until 9-Jul-18. Exclusions: 25th Mar – 15th Apr 2018, 25th May – 3rd June 2018, 14th June – 15th June 2018. Bookings are subject to restricted space, sailings and dates. Bookings must be made at least 3 days before departure. Tickets cannot be amended within 3 days of travel. Excludes Motorcycles and trailer/sidecar combinations, minibuses, motor homes, special vehicles, vehicles designed for commercial use and caravans/trailers. Phone bookings are subject to a £5 booking fee. P&O Ferries reserve the right to amend or withdraw all elements of the promotion without prior notice. 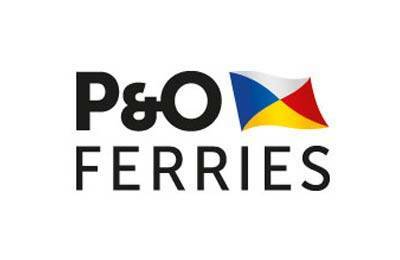 Subject to Promotional Conditions and P&O Ferries' Terms of Business, both available online at POferries.com.